Newest research from 9,306 adults in 40 countries shows that walking an extra 2,000 steps a day lowered the rate of a participant having heart problems by the end of the year by 10%!! While in the study, those who increased their walking by 2,000 steps per day further decreased their risk of a heart-related event that year by 8%. This study gives the proof that just getting up and moving a little bit more each day truly makes a difference in your health. You don’t need to be a fast-paced runner, a gym-aholic, or a cross-training guru to reap the rewards of increased movement. Small steps, literally, can make the difference in your life, and the lives of your loved ones. If you’d like to read more, check out this article from Time Magazine: How Many Steps Does It Take to Avoid a Heart Attack? Researchers Find Out. 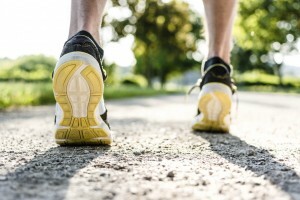 You may also enjoy our blog Walking for Health, which has some simple advice from the American Chiropractic Association on how to walk more in a safe and energizing way. Absolute Wellness Center in Eugene, OR offers chiropractic medicine, sports medicine, physical rehabilitation, acupuncture, and massage therapy. If you are interested in learning more about how to safely increase your movement while managing existing injuries and/or preventing future ones, please give us a call at 541-484-5777.